Rihanna most definitely put in the work, work, work, work, work to own this mega-mansion. E! News can confirm that the pop songstress recently purchased a home in the Hollywood Hills for $6.8 million, and from the looks of this extraordinary property, Rih-Rih spent her precious pennies wisely. The contemporary style estate sits on close to a half-acre overlooking the Sunset Trip in Los Angeles, and the home itself is an impressive 7,130 square-feet. It appears as if the “Love On the Brain” singer is finally settling down in La La Land for good. She was last reported to have purchased a Pacific Palisades home for $12 million in 2012, but took up residence in an undisclosed location sometime between 2014 and last year. Rihanna also owns a beachfront property in her native Barbados, which she reportedly purchased in 2013 for $22 million. But as for the latest addition to her ever growing real estate portfolio, this one rivals even the most luxurious of celebrity homes. So… ever wondered what a home of Rihanna-level standards looks like? 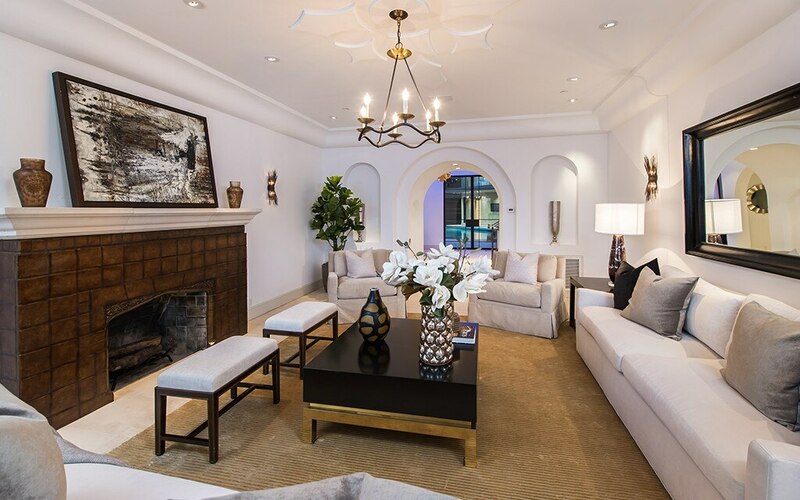 Scroll down and step inside the superstar’s enviable abode. The property’s private gate offers maximum exclusivity and includes a massive driveway for Rihanna’s extensive automobile collection. Think of all the parties the celeb could host with a backyard like this?! Infinity pool, ample patio space and epic views is all Rihanna needs. 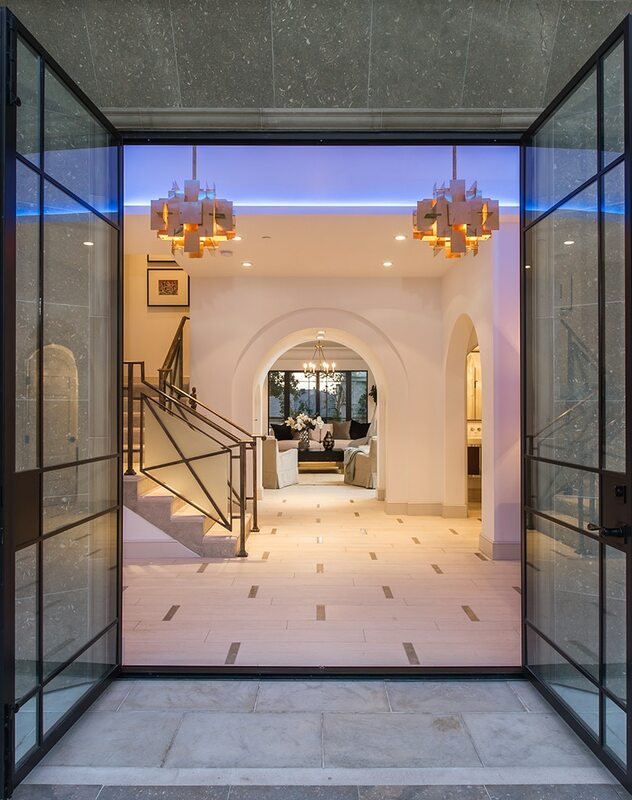 From the steel-framed doors to the archways and modern lighting fixtures, Rihanna’s aesthetic is totally on point. The oh-so spacious living room boasts a fireplace and leads into the billiards room as well as the only guest suite on the ground floor. The dining room features unique window detailing, hardwood floors and textured ceilings. 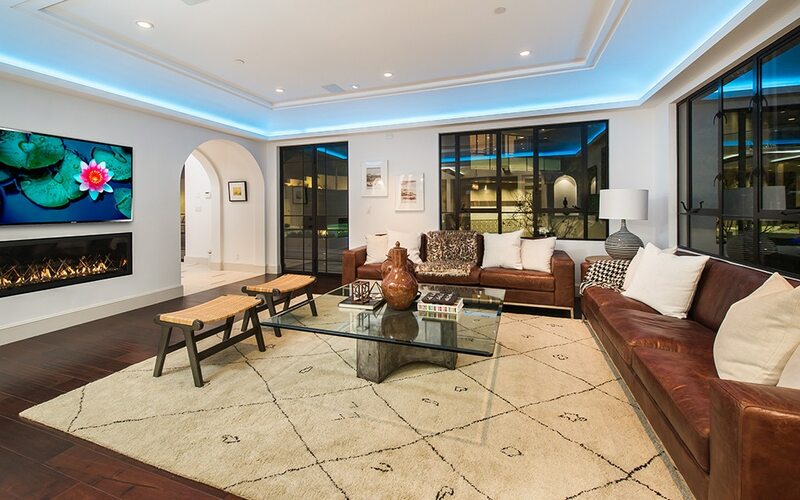 The massive family room is perfect for gathering family and friends, right Rihanna? We’ll wait for our invitation in the mail. 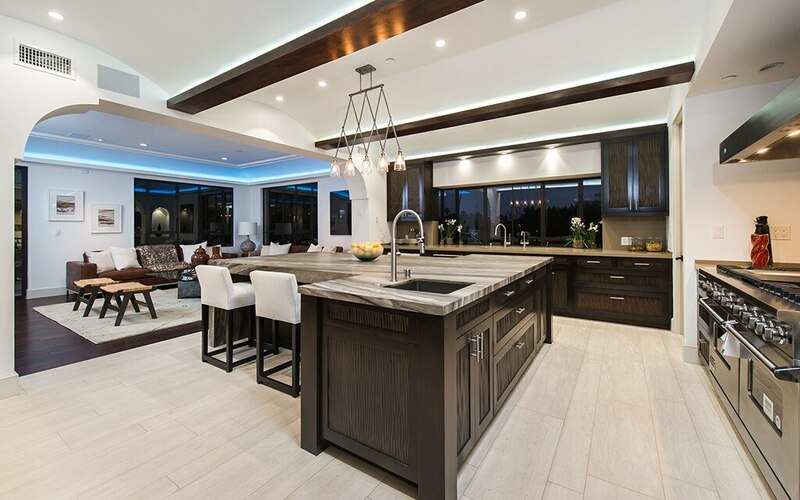 On the main floor, there’s a chef’s kitchen with state of the art appliances and marble countertops. 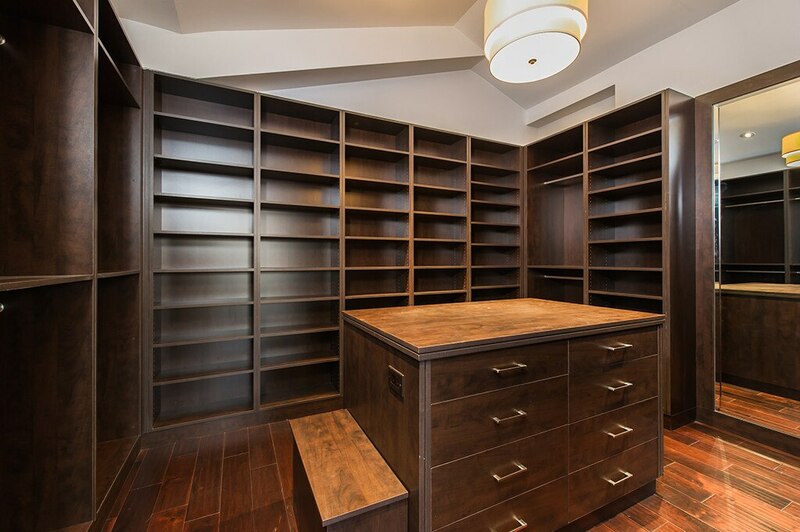 It opens up to yet another family room and adjacent formal dining room. 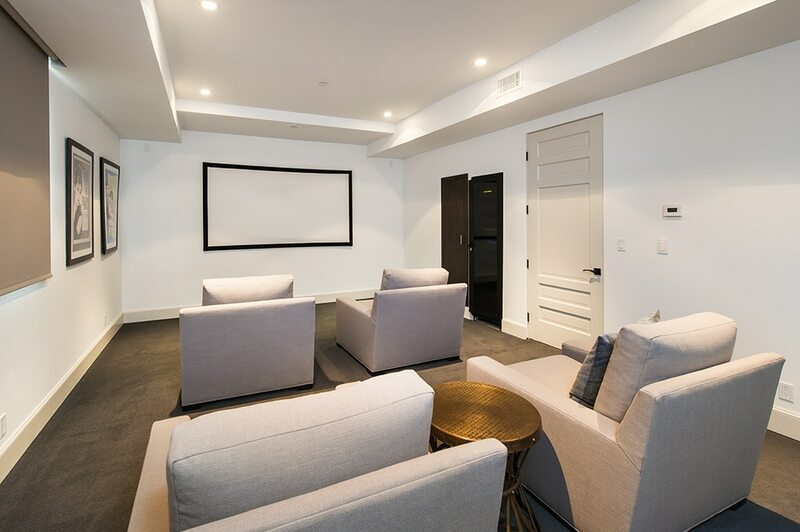 Netflix and chill is taken to new heights thanks to Rihanna’s in-house movie theater. Moving upstairs, there’s an incredible master suite complete with a separate sitting area and fireplace. 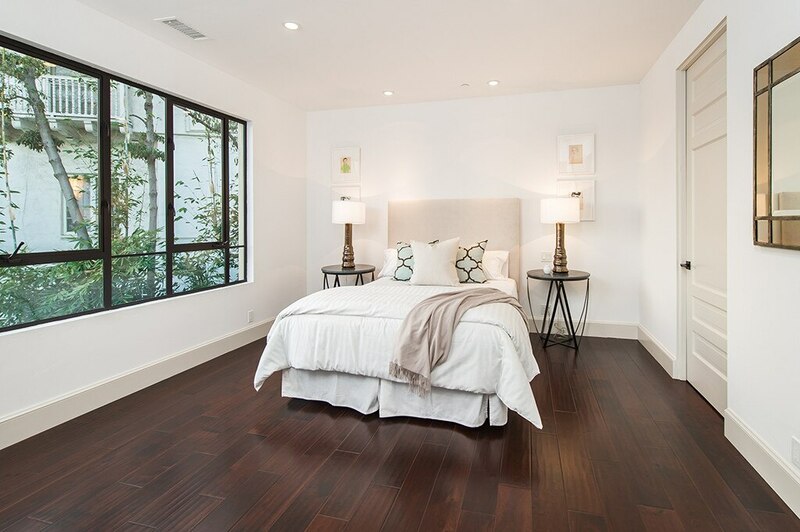 Pictured here, one of the three additional bedroom suites on the home’s second level. Rihanna can look forward to unwinding from a long day on set in one of her nine bathrooms. 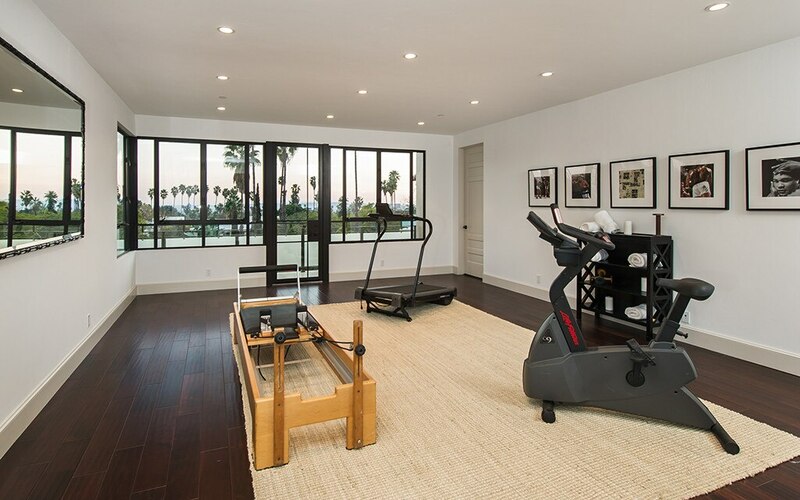 Rihanna’s entire guest house is currently outfitted as a fitness center. And did we mention the views? It’s suddenly work out o’clock.